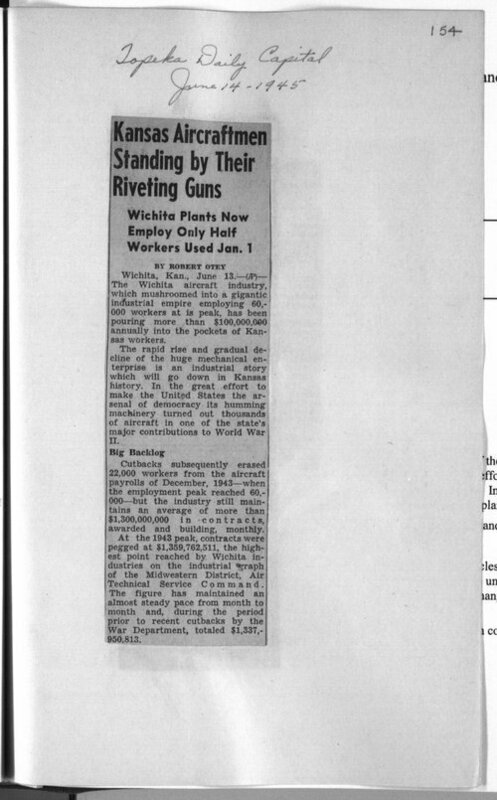 This article from the Topeka Daily Capital covers the rapid decline in aviation industry jobs at the end of World War II. In particular, Wichita, Kansas, lost 22,000 aviation industry-related jobs by June 1945. This article can be used to help students understand not only the impact of Kansas aviation companies on World War II, but the impact of the end of the war on aviation companies in Kansas such as Boeing, Stearman, Beechcraft, and Cessna.